What is a US Home Value Report? Receive a personalized Stafford County home value report for your residential property in Aquia, Argyle Heights, Arkendale, Bel Air, Berea, Brooke, Brookfield, Butzner Corner, Chatham Heights, Coal Landing, Concord, Cox Corner, Cropp, Daffan, Dahlgren Junction, Davis Corner, Dodds Corner, England Run, Ferry Farm, Fines Corner, Fritters Corner, Garrisonville, Glendie, Grafton Village, Hartwood, Heflin, Holly Corner, Leeland, Little Falls, McCarthys Corner, Midway Estates, Midway Island, Moores Corner, Paynes Corner, Ramoth, Roseville, Ruby, Shiloh, Skidmore Corner, Spring Valley, Stones Corner, Storck, Sullivan, Tacketts Mill, Tylerton, Wallaces Corner, White Oak, Widewater, Widewater Beach, and Wildcat Corner. Find out how much your current or prospective Stafford County primary residence or investment property is worth in less than 24 business hours. We manually research every subject property, compile the data and then have a professional processor evaluate it. We do not rely upon automated property valuation models that often fail in determining the true market value. Instead, we independently investigate and analyze each property every time using the latest data available from official sources. And the best part is that we are a trusted unbiased source of information that is in no way affiliated with buying or selling real estate. We also research other areas nearby such as Aquia Harbour, Boswell’s Corner, Falmouth, and Southern Gateway. The final result is an extensive multi-page format that typically features comprehensive property characteristics and itemized detail along with photos, mapping, dimensions, recent sales comparables, MLS listing prices and closing archives, tax assessed history, owner of recorded deed, etc. Copyright 2016. USHomeValue.com All rights reserved. This site offers property appraisal emulations to real estate investors, credit unions, finance companies, lenders and homeowners for the sole purpose of estimating value and assessing risk. This is not an offer or solicitation in any jurisdiction where we are not authorized to do business. 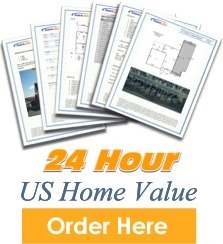 USHomeValue.com is not a licensed appraiser and our reports are not intended to replace an official appraisal.